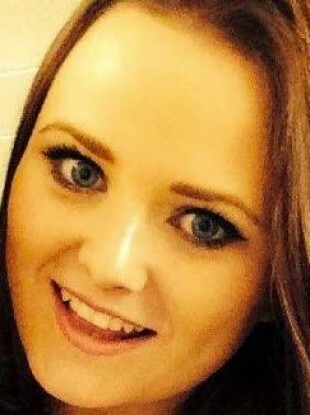 Aoife Beary was celebrating her 21st birthday the night the balcony at the Berkeley apartment collapsed. THE FAMILY OF injured J1 student Aoife Beary has released a statement today on her condition. She was injured in the balcony collapse at Berkeley last month which killed six Irish students - Niccolai Schuster, Lorcán Miller, Eimear Walsh, Eoghan Culligan and cousins Olivia Burke and Ashely Donohoe. Aoife was celebrating her 21st birthday on the night of the tragic incident. Writing on a Facebook page entitled ‘Friends of Aoife Beary’, the family said their daughter’s condition had stabilised. However they went on to say that she was still in a critical condition. She underwent a successful heart surgery on 26 June, but her head injuries remain the main concern for doctors. The family thanked everyone for all their prayers and support over the last number of weeks. The statement said her parents and the medical team are optimistic she will make a good recovery. This will be a long and slow road to recovery over many months to come. Her parents are to stay at her bedside to see her through her recovery. Dalkey School Project community has set up a fundraising page to raise money for Aoife and her family. It’s expected her recovery could take a number of months or years, bringing significant costs. A charity concert has also been organised for those who remain in hospital in the US, some sustaining life-altering injuries. It takes place in The Academy on 26 July. All proceeds go to the families of those injured. Email “'A long road to recovery': Parents of Berkeley survivor optimistic, but daughter remains in critical condition”. Feedback on “'A long road to recovery': Parents of Berkeley survivor optimistic, but daughter remains in critical condition”.